Fishing fanatics don’t need much encouragement to wet a line so the annual Surtees Fishing Competition is a must for Surtees owners up and down the country. After all, as well as enjoying a weekend in Whakatāne, and some of the fishiest waters in the Bay of Plenty, you could also catch a tagged Snapper worth $10,000 – or one of the many other great prizes on offer. Located in the sunny Eastern Bay of Plenty, Whakatāne is an easy, and picturesque, four hour drive from Auckland. Being one of New Zealand’s sunshine capitals, Whakatāne is a popular family destination with heaps to do and a range of well-priced accommodation. Ask for the Surtees Tournament Rate when booking at a participating venue and you’ll get a further 20% off! Whakatane records the highest temperature in NZ for around 55 days a year, so it’s one of the sunniest places in the country. Apart from awesome fishing there are scores of places to eat and drink, beautiful beaches, great walking trails, an international golf club down the road at Ohope and the legendary White Island active volcano. What’s more, the adventure centre of Rotorua is little more than an hour’s drive. (It’s easy to see how the Bay of Plenty got its name!) But if it’s the fish you’re after, Whakatane is a real hot spot. 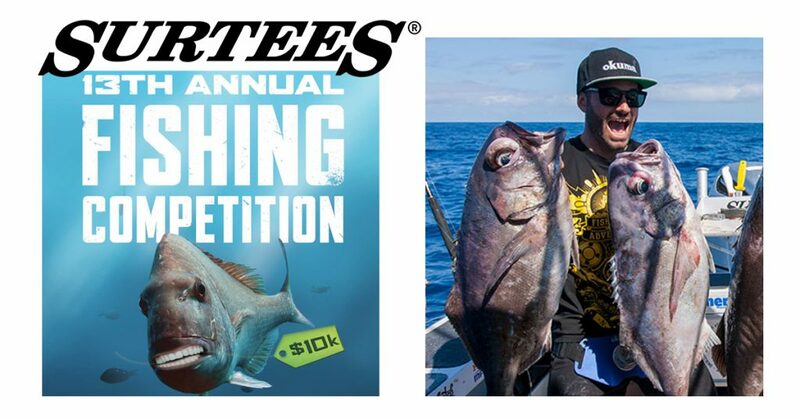 Snapper, Trevally, Terakihi, Kahawai and Kingfish are just a few of the species so visit the Surtees website for competition details and get your entry in before the deadline of March 31 2018. You’ll also be helping us support a charity close to fisho’s hearts – Trustpower TECT Rescue Helicopter. If you would like more information about this topic, please contact James Kayam at + 64 7 322 8461 or email at james@surteesboats.com.